SpaceX launched a Falcon 9 rocket on March 30 successfully carrying the SES-10 satellite to space. 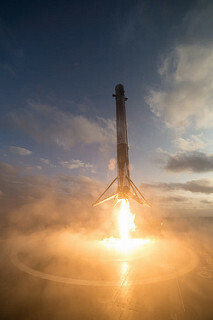 It was a typical launch, using the Falcon 9 FT booster. The only difference, and it’s a big one, is that this particular Falcon 9 was already used. That’s right. As you may know, SpaceX has been landing and saving their Falcon 9 boosters for a while now, but this is the first time one has been reused. Not only did the payload get to GTO successfully, but the booster landed again on SpaceX’s barge drone ship, Of Course I Still Love You. This marks a huge step in rocket reusability. Typical launches cost around $62 million. Musk estimated that around 70% of that cost was in the booster, and about 1% of the booster’s cost is the fuel. Eventually, the customer would only need to pay of the upper stage and the fuel, since the booster is being reused. SpaceX’s next goal is to have a 24-hour turnaround time on each booster. SES has long been a major customer when it comes to trying new innovations at SpaceX. The cost of this launch was 10% less than normal price, according to SES. This innovation is a major step forward in space travel, and we hope that SpaceX continues to push the boundaries of space travel. The launch is available on YouTube here.